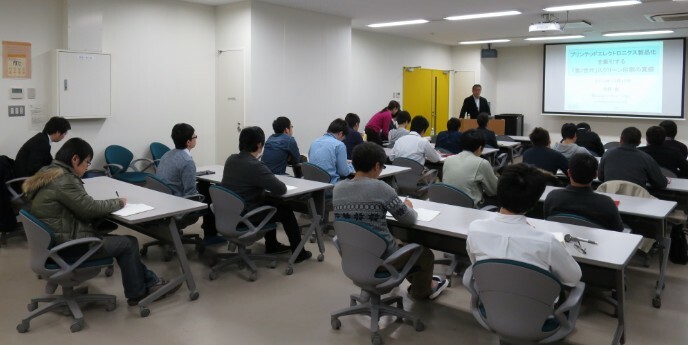 The 73rd ROEL Lecture Session was held in Conference room on 4th floor in Research Center for Organic Electronics on December 13. 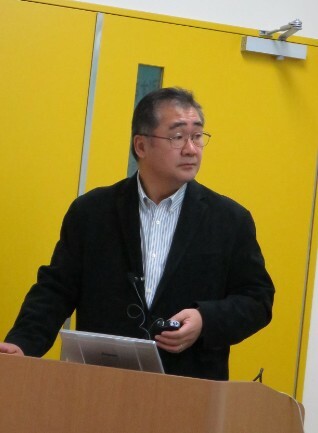 We invited Mr. Yasushi Sano from SP-Solutions Co. Ltd as a guest speaker, and he gave a lecture entitled "The true value of "the third-generation" screen printing that leads commercialization of printed electronics." Many researchers and students attended to the lecture and the 73rd ROEL Lecture Session finished in success. Mr. Yasushi Sano, CEO, SP-Solutions Co., Ltd.